These Damn Sidewalks! | Hey Chelito! 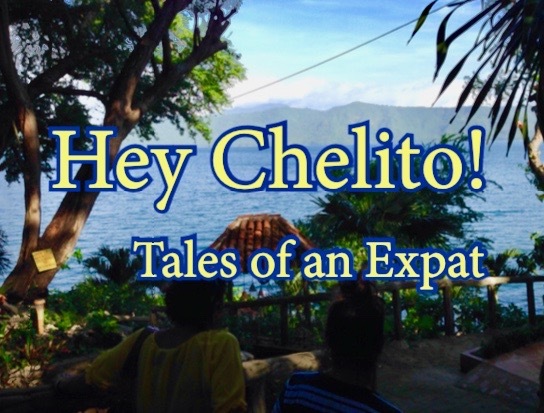 Posted on November 13, 2017 By Erik @ Hey Chelito! Back in July I wrote a post concerning the sidewalk situation here in León. I made reference to how dangerous they can be for pedestrians. Many of the sidewalks have been taken over by street vendors. Their “shop” often spills out into the street as well. They sell everything from fruits and vegetables to kitchen equipment to used shoes and clothing. This morning I passed one such vendor that was offering underwear, I hope those weren’t used. Food is sold from bushel-like baskets while the other goods, like shoes and clothing is laid out on the pavement, sometimes over cardboard. These types of street markets are not unique to León nor Nicaragua. Many cities across the globe have similar issues. Why Am I Revisting This Issue? In the post entitled Dancin’ in the Streets, I described how difficult and precarious it can be to walk the city streets of downtown León. Since November of last year, I’ve heard of several people being hit by passing vehicles. One such elderly gentleman was killed when he was forced off the sidewalk. He tripped off the curb and was struck by a passing truck. Stories like this, unfortunately are all too common. The reason I am bringing up the issue again is because a month ago one of my neighbors was seriously injured trying to cross the intersection at the end of my block. Just fifty meters from my front door. The same intersection where I buy fruit almost every morning. She is a very pleasant older lady, I guess her age to be mid-60s. She always waves to me when we see each other. She is a very active lady. She walks a lot and is very involved with her church. We chat on some early evenings, after sunset, she likes to sit in her rocking chair and watch the neighborhood from her porch. She has been in the hospital since her accident with two broken legs, two broken shoulders, broken clavicle, and some internal injuries. She has undergone several surgeries since the accident. Another neighbor told me that she now has “un montón” of metal keeping her together. She arrived home this morning by ambulance, being wheeled into her front door on a stretcher. Two nurses accompanied her and got her settled in. She now has a long year of recovery ahead of her. As I mentioned in the earlier post, I respect the people for working and earning a living. The last thing I want to do is interfere with a families income. One of the biggest obstacles is that the president and his wife endorse these street vendors because they are making an honest living. They argue that because they are putting in an fair day’s work, that it would wrong to shut them down. I am not sure how the city can properly, and more importantly, effectively address this issue. Public safety has to trump convenience. I do enjoy the convenience of my buying fruits and vegetable without having to go the supermarket. I prefer to purchase as much as I can from locals who rely on the income to support their families. I cannot in good conscience, condone removing the income streams from families of which, many already live below the poverty line. How have other cities around the world dealt with this issue? ← Nicaragua, the Next Costa Rica? Enough Already! Traffic & transportation safety is my field. The real answer is to get the motor vehicles off the streets. There’s enough other modes of transportation here that León could pull it off, too. In fact, a quick search indicates that this may already be in the long-range plans for downtown. Citation buried at the bottom of the page here: http://www.home-in-leon.com/casa-la-rosita.html . Happy to discuss further in person while I’m in town for the next couple months. That’s certainly one option, but that would still leave other forms of public transportation like taxis and buses and camionetas. At the pace that things happen in Nicaragua, it could take decades. Just two days ago, there were two accidents at the corner of my block. One just before 7:00, an injury accident involving a motorcycle and car. The second occurred just after 17:00 and involved a truck and a taxi.